I mentioned this in my 'photography tips for iPhone users' post but editing an image really does make such a huge difference. Even if you have natural light on your side it's amazing what messing around with the brightness and contrast can do! A brilliant free app I'd recommend for doing so is VSCOcam and even Instagram if you're feeling lazy! Sometimes I'll look at one of my photos I'm about to upload to Instagram and think 'hmm, it's missing something, it could do with a finishing touch'. That's where Repix comes in, I always use this to add those little bubbles/glitter to my photos. It's particularly good as you can choose where you'd like them to go- I'd say subtle is always best. I also really like the brightness setting this app has, it makes your photos look so vibrant! 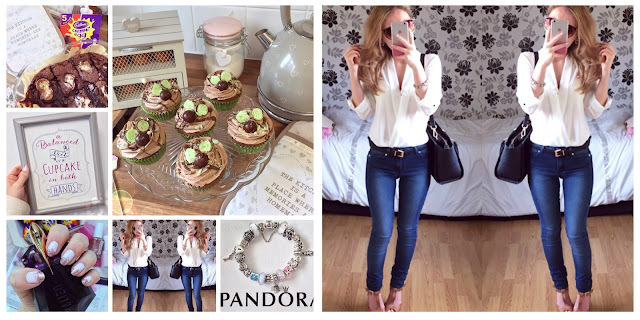 I'm forever using the PhotoCollage app to create 'mirror effect' outfit pics- it doesn't half come in handy when you don't want to your whole room in the picture and no, that's definitely not because I haven't tidied my room for weeks... The reason I love this app so much is because there's so many different collage layout options and you can change the width of the border too! After 'how do you edit your photos' the next question I get regularly is 'how do you add text to your photos?'. 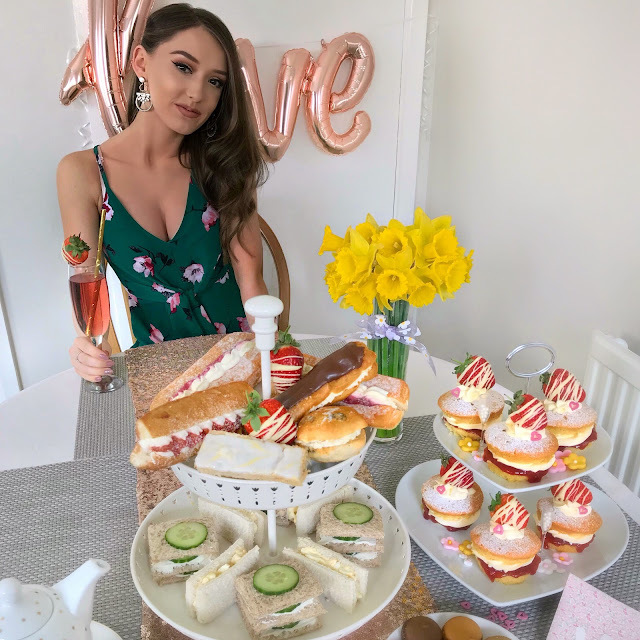 I personally love adding text to blog photos as it adds a nice touch and I also find it draws more people in! The two apps I'd recommend are PicLab and PicCandy- they both let you add text but I often find myself using PicLab to add text and PicCandy to add cute little doodles. 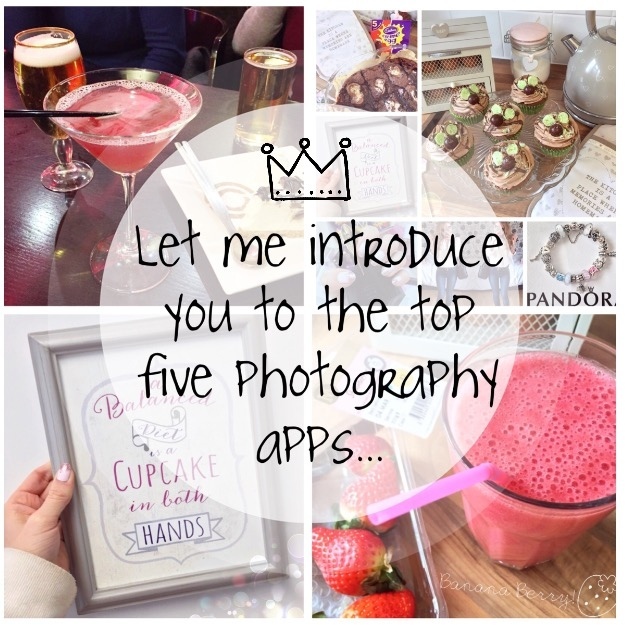 So there we have it, my top five favourite photography apps. Do you use any of these and if not which apps do you use, any you'd recommend?